ow it’s Christmas time, but this has nothing to do with Xmas except the name: LIBJINGLE. For a long time, I’ve been trying to expose one of my home servers to the Internet. Normally, you’d just need to setup dynamic DNS to update the router IP address and NAT (Network Address Translation) to forward one port onto the server. Unfortunately, my ADSL router is a special (hardware / firmware) version OEM-ed by Comtrend to FPT (the local ISP), and no matter how I configure, NAT is simply forbidden. I’ve tried various techniques to punch holes (TCP, UDP) through NAT, such as this pwnat, a trick to fool the router using ICMP echo packet. 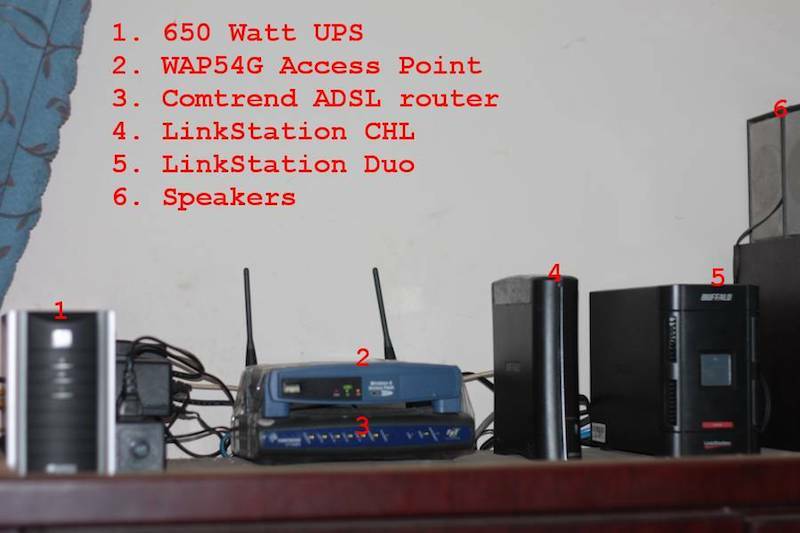 However, due to different router implementation & configuration, no technique is known to work in 100% of the cases, as pointed out in this paper. The NAT traversal problem repeats itself in various applications: VoIP, P2P network, VPN (Virtual Private Network), networking for games… Current technologies take a dual approach in solving this: a certain kind of ICE (Interactive Connectivity Establishment) when two peers can directly connect to each other, or a central server in between in case the routers forbid it all. 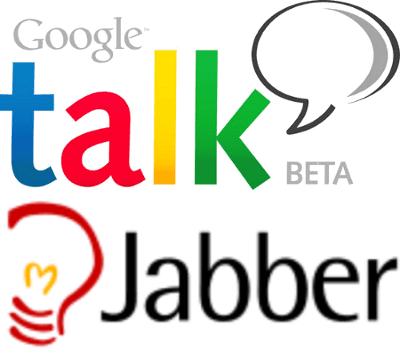 Such as with libjingle, Google Talk servers are used in case a direct connection can not be made. Remember the Skype’s global disconnect problem lately? It’s the same sort of problem with ‘central servers’. With these knowledge in hands, it’s turned out that setting up a VPN to access my home servers from anywhere is quite easy as follow. SFTP (Secured File Transfer Protocol) is built on top of SSH, and SFTP is native to any Linux (for Windows, we could use WinSCP, and for Mac is Cyberduck). Just connect to one end of the tunnel like with SSH (localhost:2222) and on the other end of the (nested) tunnels, we get access to the whole file system. SSH is built-in into SVN (I often use SVN by command line rather than WebDAV). Something like: svn co svn+ssh2222://user@localhost/svn/project would do the job, where ssh2222 is defined in your subversion’s configuration file (under the [tunnels] section) as: ssh -p 2222, this instructs the secured shell to connect to the host, then call the ad-hoc svnserve instead of a real web server. This is very useful since if helps surfing the Internet securely while you’re in public. After setting up Squid web proxy on the same server, the command: ssh -N -L 8080:localhost:8888 root@localhost -p 2222 tells SSH to forward the local port 8080 to the proxy port 8888, then pointing Firefox at localhost:8080 would secure our traffic more than enough (2 levels of nested tunnels and 2 levels of port-forwarding). I use this to casually enjoy my music collections while not at home. Install FireFly (formerly mt-daapd) music streaming server and forward the default port 3689, then I can listen my favorites songs anywhere using Rhythmbox (Linux). And since the protocol (daap) is originated from Apple, listening is also natively available on any Mac machines using iTunes. The C-Media usb board adds a cheap (~ $5) sound solution to the Debian box, sound quality is fair enough for “ad-hoc” listening (comparable to that of AC97 on-board chip, and for serious music, there’s already the home media player). uite a long time it takes me to finish and “stabilize” all these “home servers”… and finally here it is… On the left, you can see: #1: the 650 Watt UPS that provides about 3 hours of un – interrupted electricity for the whole system, #2: the WAP54G Access Point (hacked with OpenWRT), #3: the Comtrend ADSL router, #4: the LinkStation CHL (Debian Lenny: print server, 1T disk space for samba share, bittorrent server), #5: the LinkStation Duo (Debian Lenny: 1T of RAID-1 disk space for important data, SVN, Web, VPN servers (for remote access) and MPD music servers), #6: speakers. All these miniature machines help streaming lossless music and HD video to the media player (LT-H90LAN – another Linux box resides in the living room). Except for the router (which is specialized hardware & firmware OEM-ed by Comtrend to FPT – the local ISP), all others devices runs Debian or another Linux variant. The total power consumption of the whole system is less than 50 Watt. Future computers would consume less than 1/10th of power compared to today’s ones… Power is the key, less power means less heat, less noise, more stable and more durable… the factors that make successful home services! The “specimen”, an oil painting of Bửu Chỉ, the prestigious Vietnamese painter. 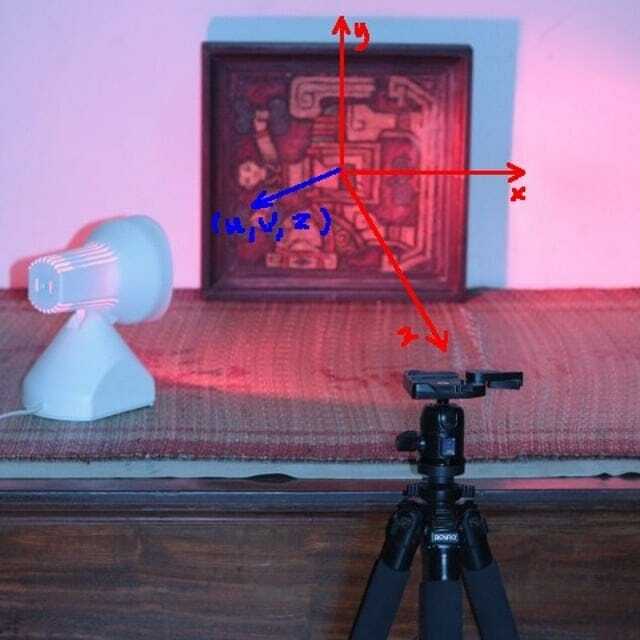 The lighting vector (u, v, z) in the (x, y, z) coordination system as showed in the image above (the “right hand rule”): origin at center of the picture, x points to the right, y points upward and z points toward the camera. f you’re into computer graphics, you probably could have learned about normal mapping, bump mapping… Last week, a colleague told me about Polynomial Texture Mapping, then the experiment below was what I was doing as an exercise to learn about this PTM. In essence, PTM could produce extraordinary effects due to the fact that it makes use of many lighting data collected in real – world condition (check out some examples on the HP’s PTM page). To make a PTM (using tools from HP Lab), you would need to photograph the “specimen” under many light directions, then combine all together in one “texture” (using PTMfitter) in which pixel values are computed from the collected data (polynomial function). Input to the PTMfitter is a file listing images and their lighting vector (u, v, z). Note that (u, v, z) must be a normalized vector although PTMfitter only uses (u, v) at the moment. (Getting PTMfitter to run under Linux is quite tricky since it’s linked against an very out – dated version of libstdc++). Output is the .ptm file that can be viewed with PTMviewer. The effect is really impressive, much more realistic than the normal, bump mapping usually seen. Let verify the difference, here is the .ptm and the .pl files, you would need to download PTMviewer from HP Lab (there’re versions for Wins, Linux and Mac). We can also use PTM to create the DOF (Depth of Field) effect. 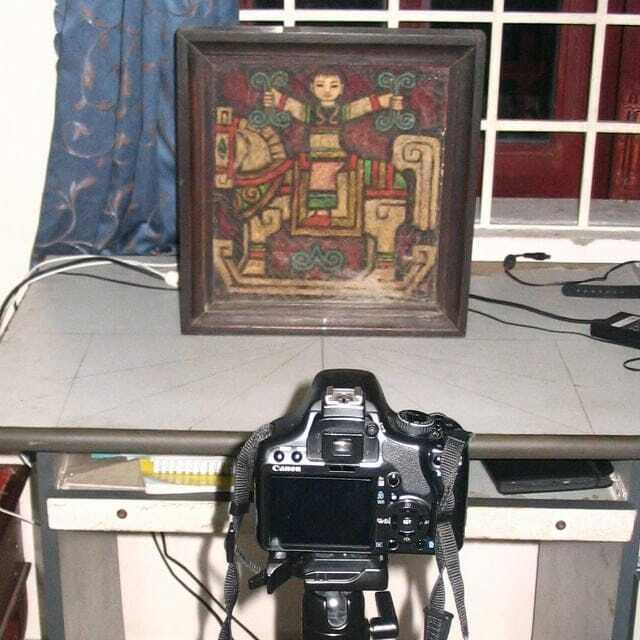 The vector (u, v, z) in this case is not lighting direction anymore but the focus point the camera is shooting at. This technique is quite useful since DOF is very expensive to compute in graphics application, and this gonna be my next experiment! My Buffalo, a 400 MHz, power-efficient ARM system (it consumes about 17W on average). 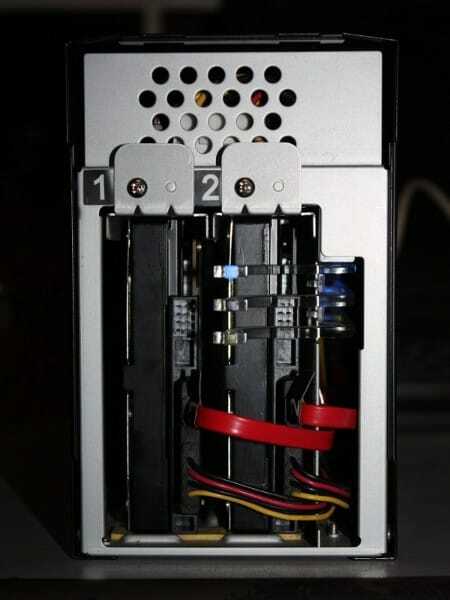 The duo: two SATA disks (1TB each) running in RAID-1 configuration. 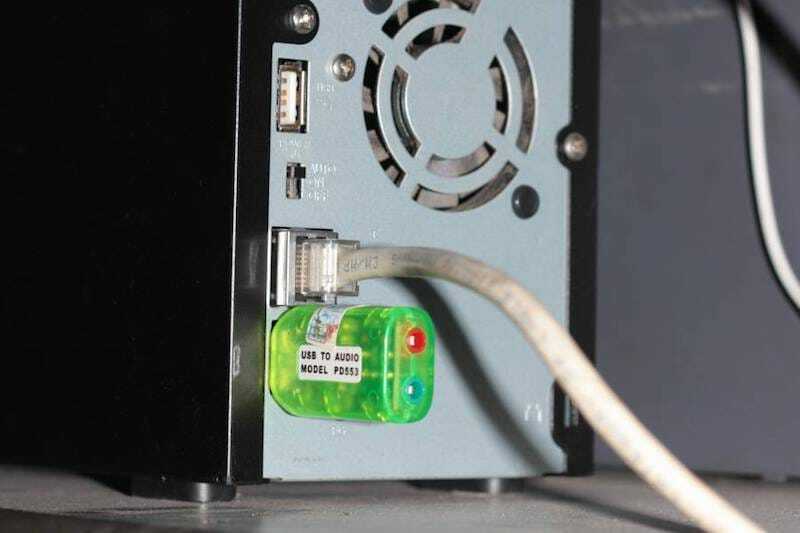 The system can also act as a print server: most cheap home laser printer are not stand-alone device (lacking PostScript capability) and need to be attached to a PC in order to print, instead we can connect printer to this Buffalo box via usb and serve printing over network. 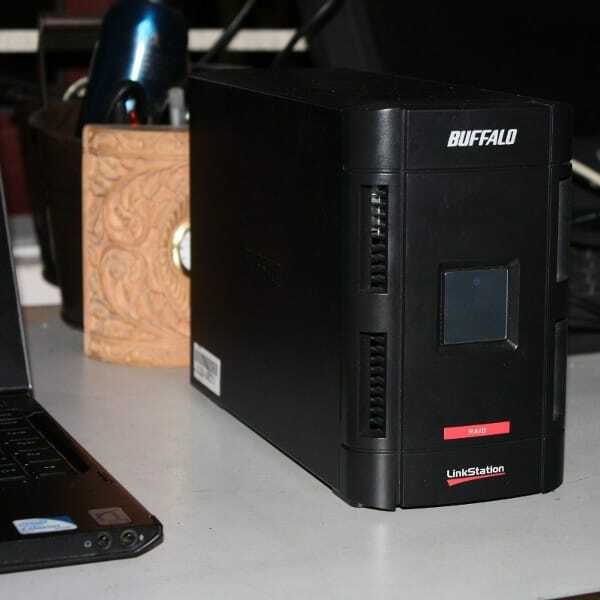 y newest toy: a Buffalo LinkStation Duo Network Attached Storage (NAS – or a poor man’s home server). Had thought about this long ago but don’t have time till now to dig a little bit low-level to get the thing to work! Basically what I want to have is a miniature general-purpose home server, which would run continuously 24/7. But you know with the temperature and electricity conditions here in HCMC, most PC would surely break down if let running continuously for a few months. The idea is to hack this NAS device to run Debian and turn it into a hybrid system: NAS (file server, torrent, UPnP…) and a home server which would handle a little more extra tasks. I took me a whole night to figure out how to do it. 1. Boot the device via tftp, using u-boot, the universal bootloader. We need to to erase the HDD’s partition table (with something like: dd if=/dev/zero of=/dev/sd[a/b] count=1) to force the device into tftp boot. 4. Install Debian (Lenny) using debootstrap, a very handy tool to install Debian directly from a repository. DeBootStrap pulls the packages over network, build a new rootfs, after chroot-ing to the newly build system, pull and build the kernel from source. After that, we can use regular Debian commands to update, configure network, add softwares, etc… After rebooting, we’d got a brand new Debian with 1TB of RAID-1 disk space, which runs flawlessly and which is ready to serve my various automation tasks! Notes: installing Debian would void the warranty and could easily brick your device, use the information at your own risk. The steps here are just summary, there’s been various try and fail to get the thing done, e.g: we need priorly to have binutils, wget, zlib and libssl binaries for debootstrap to work (download the deb files from Lenny’s repository, extract and copy over the Buffalo), after debootstrap-ing, I forgot to set the root password, and unable to login when the machine reboot, thus having to start the whole process over again . For further details, please consult the Buffalo NAS community. I’ve defined some thresholds, in a tropical country like VN, room temperature around 30° ~ 35° (Celsius) is a common thing, so if the HDD’s temperature is below 35°, we would turn off the fan. If it is between 35° ~ 40°, the fan speed would be ‘slow’, from 40° to 45°, the fan will be turned to ‘fast’, and if temperature excesses 45°, fan speed is set to ‘full’. Well, and even if 50° is reached, we would send a notification email (via sendmail) and shutdown the system. If you find it interesting, here is the fand scripts. To pair with the Link-Station NAS is its cousin also from Buffalo, the Link-Theater LT-H90LAN. 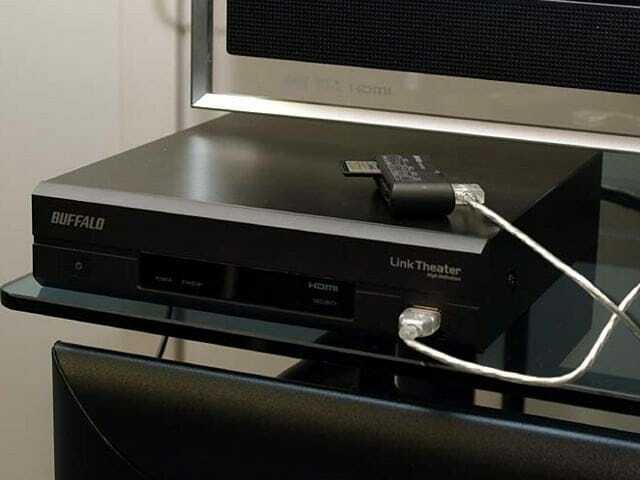 The LT-H90LAN reads media from Samba shares or DLNA server via LAN and is a 720p and 1080i HD-ready device. Although not Full-HD (1080p), that’s enough for my need (I don’t have a Full-HD TV in my house anyhow, maybe I’m waiting for 3D home video). It’s quite pleasing to enjoy good video quality and excellent audio in your living room, all streaming from a central NAS. The box also runs a variant of Linux (though hacking can be a pain, I would only left the device untouched for safe). This is one further step toward an all-Linux-devices home (thought I should buy an OpenMoko phone then). Copy the files over your Kindle, the news feeds read out very very nice! (images on the left, click to enlarge). The next step is of course some further automation, you don’t want to do the whole thing manually everyday, do you!? All these works can be accomplished by a shell script, scheduled by crontab! Just have your home server prepare the documents and sync it to you via Dropbox, from which you can download and view on the device (Kindle naturally permits downloading .mobi documents). I’m using this way to serve myself latest news with coffee every morning! Having no KDK doesn’t mean that we can not develop software for Kindle! Below are my notes on building, deploying an example application for Kindle. This would make cleared the steps needed to write applications for Kindle without the KDK. Please notes: the information is collected from many different sources, jailbreaking could be considered “illegal” according to some Term Of Use. Use the information at your own risk! Download kindle-jailbreak and kindle-usbnetwork from here. Choose the files that is suitable for your device, e.g: for my Kindle 3 (wifi + 3G), it would be the jailbreak_0.4.N_k3g and usbnetwork_0.27.N_k3g. 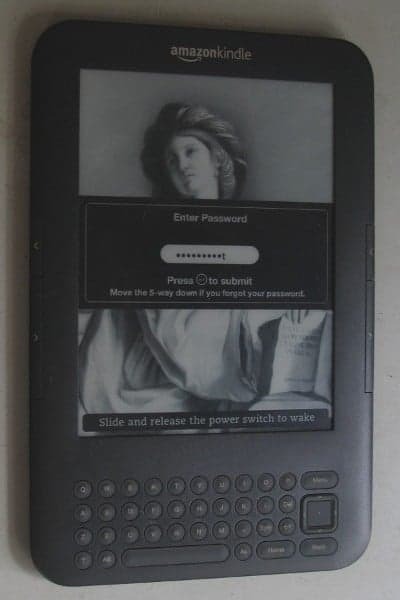 Copy the jailbreak_0.4.N_k3g file to your Kindle, then proceed to updating the system. The jailbreak exploits a hole in Busybox implementation to gain root access. Next, do the same thing with usbnetwork_0.27.N_k3g, which provides a secure shell via USB connection. Launch the Search box on our Kindle, type ;debugOn, press enter to execute the command, then do the same thing with ~usbNetwork to start the sshd daemon. The default configuration would set Kindle to 192.168.2.2 and expect the connected PC to be 192.168.2.1. Now we’ve got root access and the entire FS (file system) in the palms of our hands. Spend some times exploring it, when done, put the Kindle back to normal use by issuing ~usbNetwork again, then ;debugOff. This is the most important part! Kindle’s “kindlets” are exactly Java’s jar file with .azw2 extension, however, we can’t just simply copy and run it. The applet is linked against several system libraries located at: /opt/amazon/ebook/lib/Kindlet-1.1.jar and /opt/amazon/ebook/sdk/lib/*.jar (copy these files to your PC for local jar building in place of those provided by the KDK). The .azw2 file must also be signed with 3 different keys located at: /var/local/java/keystore/developer.keystore and the security policy is defined at: /opt/amazon/ebook/security/. For more information on signing, please refer to this post. If you’re tweaking your Kindle and writing apps for it, I suggest that we would just use the signing key of Andrew de Quincey, the first one to figure out about this, so that free softwares can be easily shared among Kindle’s users. 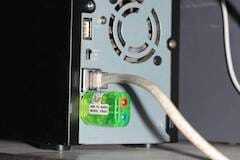 Configure the usbnetwork interface and access Kindle via sshd. 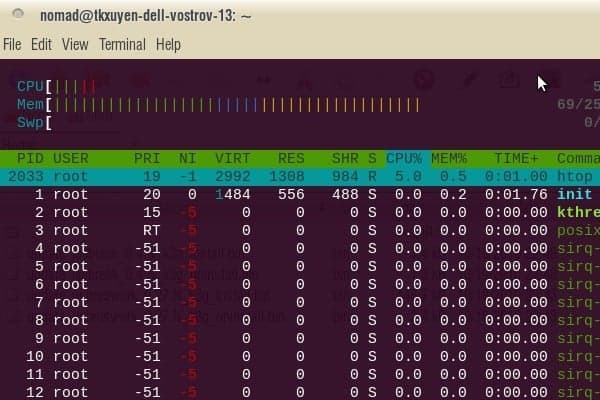 Image below: the command htop running on Kindle’s ssh console. When finished with hacking, we can un – install these two exploits to restore Kindle back to original state (and receive official updates from Amazon), but that would be after the next section, when we’d been able to deploy our own software on it! 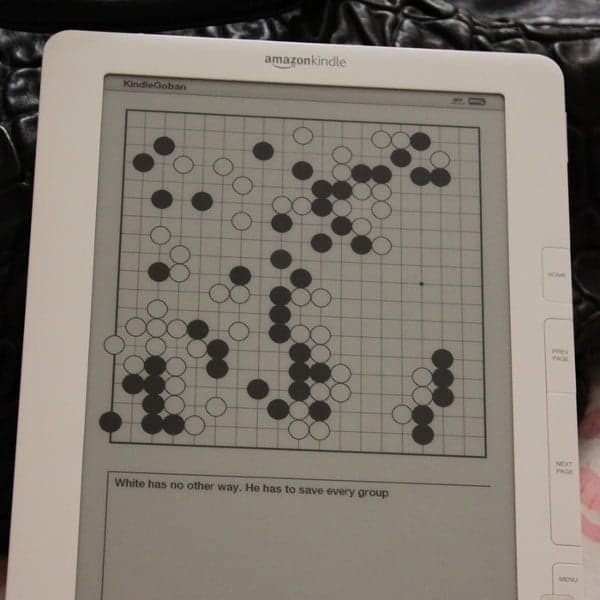 I’m going to deploy KindleGoban, a Go (weiqi) game viewer, as an example app. Adrian Petrescu, the man behind this open source game, is perhaps, an insider of Amazon’s KDK project. But technically he’s under a NDA (non disclosure agreement) and won’t be able to say anything except the publicly available information. However, he did indirectly provide valuable resources. First, copy the developer_keystore (mentioned in #2) to your PC & Kindle (at /var/local/java/keystore/developer.keystore). Then download KindleGoban (and its dependency library KWT. Make some changes to the build.xml to include KWT (adding several widgets) and get rid of the KDK’s stuffs (which we don’t have). Then build, sign and deploy the .azw2 file to your Kindle. And there you are, a nice Go game viewer! This section gonna be regularly updated on the availability of documents, tools.. for development on Kindle. Please note most of these are from third – parties rather than Amazon, which are the results of hacking, reverse – engineering… and some other information indirectly available from the KDK. At the moment, we only have this official javadoc from Amazon which describes the KDK’s APIs. Savory: a native ebook converting daemon for Kindle. Kindle emulator: need to double check this. Mangle: a manga viewer for Kindle. Qindle: a Qt port for Kindle. KindleGoban screenshots, this is, like most Kindle projects at the moment, is just starting, would expect more features in the time coming. indle in my idea, is a very promising device, and I’m compiling, for the purposes of reading, some Vietnamese dictionaries for it. For the Chinese language, there’s no non – trivial solution at the moment, but it’s simple for the cases of English and French. Below are the steps I note down for remembering, it’s just a matter of data conversion and packaging. Non – technical readers can skip directly to step #5 below to download and use the dictionaries. Dictionaries on Kindle have Mobipocket’s format (Amazon bought Mobipocket in 2005). The data set we’re going to use is available on StarDict in which the English ↔ Vietnamese and French ↔ Vietnamese data was originally created by the author Hồ Ngọc Đức. The data set has some minor holes and errors, but it’s the most usable set for Vietnamese at the moment (many Vietnamese softwares, websites… use this data). 1. Download the data from StarDict, e.g: stardict-dictd_anh-viet-2.4.2.bz2. Extract it, there will be a .ifo (info) file, a .idx (index) file, and a .dz file which actually has .gz format, rename to .gz and unzip to get the real data file (.dict). 2. Convert the data to an intermediate format, we’re going to make a tab – delimiter file. Fire – up StarDict utility: stardict-editor, jump to the 2nd tab (Decrypt), browse to the .ifo file and have it convert the data to something like: dictd_anh-viet.txt. 3. Convert to Mobilepocket format: python tab2opt.py -utf dictd_anh-viet.txt. The python script used to convert data is available at this site and would produce a file like: dictd_anh-viet.opf. 4. Package the final .mobi file: wine mobigen.exe dictd_anh-viet.opf. The mobigen utility is available from here, for convenient reason, I would just use this Windows’ binary via wine. 5. Connect your Kindle using USB cable and copy the anh_viet.mobi or phap_viet.mobi files over to the ‘documents’ directory. The dictionaries should be available for use right now on Kindle’s home page. We can also set one of these to be Kindle’s default dictionary so that we can lookup words’ meanings without leaving the document we’re on! an not resist to this temptation anymore. 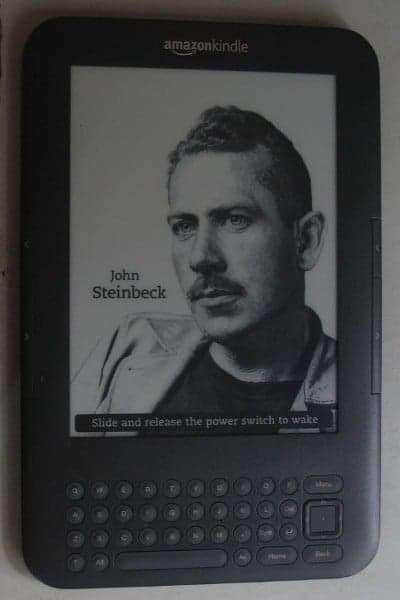 Kindle price dropped significantly lately and it’s time to pick a e-ink display book reader for myself. I’ve been curious about electronic paper display, the alternative to LCD or OLED displays widely used on hand – held. Actually there’s been various devices (phone, watch…) which make use of electronic paper, but none has the success like Kindle. Connecting to my Linux box, the device appears as a normal USB mount to easily copy files over. I find Kindle very suitable for my needs: document reading, a bit of music, and casual web & email. Moreover, Kindle does not create the impression that it is an electronic device. The battery is advertised to last about 10 days (with wifi on, and even more with wifi off), so we don’t have to care about recharging very often. It simply boots up and runs, and displays nice pictures in screen – saver mode. Amazon recently released Kindle’s SDK beta (Software Development Kit) with Java as the primary language (J2ME), and maybe C/C++ for system development. The machine’s GUI proposes to me a lot of interesting ideas on usabilities and UI design! Ví dụ về chức năng đơn giản nhất: resize ảnh trên các browsers, ảnh trên: Firefox, ảnh dưới: Chrome, (ảnh được chụp lại và hiển thị nguyên kích cỡ từ 2 browser, cả 2 dùng cùng một ảnh gốc kích thước lớn). Có thể thấy chức năng resize ảnh của Firefox, IE kém rất xa so với các browser khác. Một cách rất quan trọng để hiểu công nghệ không phải là từ thuật toán, ý tưởng, mà là từ… lịch sử. Nếu quan tâm đọc lịch sử computer graphics, bạn sẽ biết đằng sau “Phong shading” là Bùi Tường Phong, một người Việt. Hay bạn sẽ hiểu tại sao SGI (Silicon Graphics Inc.) có nhiều ảnh hưởng đến thế, tại sao những phong cách, sản phẩm của công ty đó lại thiết đặt nên những tiêu chuẩn vàng trong cộng đồng computer graphics (ví dụ như OpenGL), tại sao máy Mac dùng UEFI chứ không dùng BIOS, tại sao NextStep và OpenStep dùng “vector display” chứ không phải là “bitmap display” như đa số các windowing system khác… Sự phát triển của công nghệ là một quá trình tiến hóa liên quan tới những yếu tố xã hội và con người, chứ không đơn giản là sự phức tạp hóa các ý tưởng kỹ thuật! hatever happened to programming? Điều gì đã xảy ra với lập trình? Khi ở năm 1 đại học (1998), tôi có viết một 3D engine đơn giản bằng Borland C, lúc đó sách vở thiếu, internet thì chưa có. Mục tiêu đặt ra rất đơn giản: hiển thị (xoay) một đối tượng 3D đọc từ file mô tả tọa độ các đỉnh. Bằng những hình dung hình học đơn giản, tôi xây dựng một phép chiếu: giao điểm của đường thẳng từ mắt tới các đỉnh của vật thể với mặt phẳng chiếu chính là pixel được hiển thị trên màn hình. Sau đó ít lâu đọc thêm tài liệu, tôi mới biết đó gọi là: phép chiếu phối cảnh – perspective projection. Một số đoạn code released từ game Doom giúp tôi hiểu rõ hơn kỹ thuật chiếu dùng trong game thực: ray casting. 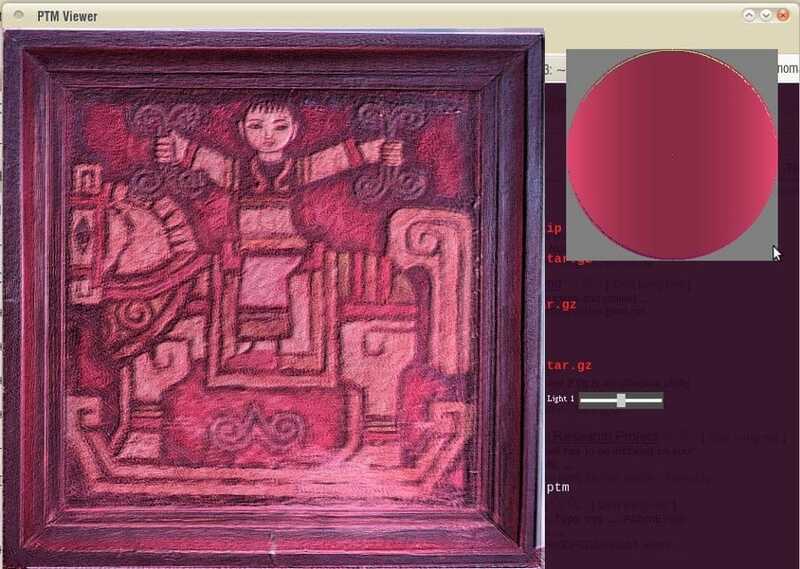 Sau đó 1 thời gian bắt đầu có internet, chúng tôi lại “say mê” tìm hiểu các kỹ thuật graphics “tối tân” hơn. 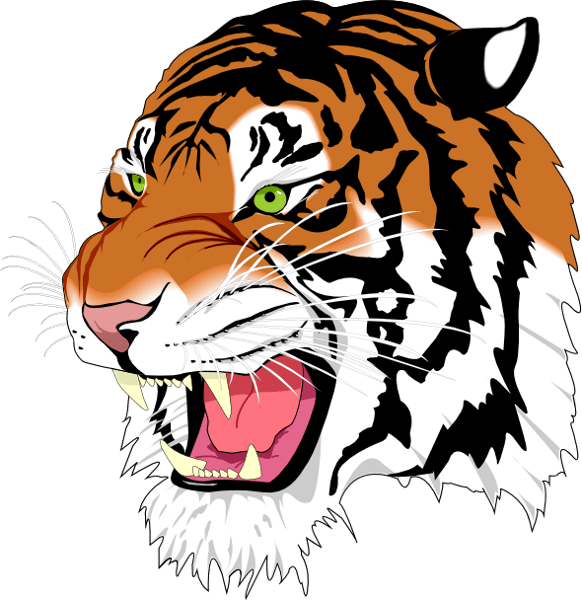 Còn nhớ lúc đó có trang web winasm.net, nơi chỉ vẻ rất nhiều về Gouroud, Phong shading, light, bump mapping, sprites… Chúng tôi đọc các code viết chủ yếu bằng Assembly, rồi viết lại bằng C/C++ trong cái “engine” của mình. Chuyện là như thế, chúng tôi “nghĩ gì viết nấy”, đa số các trường hợp là “phát minh lại cái bánh xe”, bắt đầu bằng việc tự xây dựng những mô hình, thuật toán “ngây thơ” trong đầu. Cái “engine” của tôi so với các engine chuyên nghiệp bây giờ thì thật đáng xấu hổ, nhưng ít nhất chúng tôi hiểu những ý tưởng, nguyên tắc vận hành cơ bản. Những điều kể ra trên đây chỉ mới là a, b, c… trong computer graphics, lĩnh vực có rất rất nhiều thuật toán, kỹ xảo, mánh khóe… hấp dẫn và độc đáo. Còn nhớ vì ham thích viết các chương trình đồ họa và xử lý ảnh nên một số môn khác tôi không chú ý tới. Như các môn AI, có lần tôi copy code của một người bạn về nộp làm bài tập (đã được cho phép). Đó chỉ là một chương trình chơi caro (croix-zero) dùng thuật toán A*, nhưng vì cúp cua nên tôi không biết về A*, ngồi cả đêm đọc xem cái chương trình đơn giản đó làm cái gì nhưng vẫn không tài nào hiểu được. Sau đó “bổ túc kiến thức” thì biết là A* cũng chẳng phải là điều gì phức tạp, nhưng nếu không có ý tưởng về thuật toán trong đầu… thì code cũng như một đám rừng chẳng cho anh biết được gì về nó. Sau đó tôi viết nhiều về xử lý ảnh, tới đây thì nền tảng toán trở nên quan trọng, đa số các khái niệm là đủ phức tạp để không tự hình dung bằng trực quan trực giác được. Nhưng nghiên cứu kỹ lưỡng chút thì rồi chúng tôi cũng hiểu được ý tưởng đằng sau các khái niệm convolution, high – pass, low – pass filters… Nhờ những kiến thức đó mà bây giờ tôi có thể có được những nhận định đúng hơn, ví dụ như một chức năng tưởng chừng hết sức đơn giản như resize ảnh, nhưng cho đến tận bây giờ vẫn chưa được implement đúng trên hầu hết các trình xử lý ảnh phổ biến: GIMP, Photoshop… Có thể các bạn không tin điều này, nhưng GIMP, Photoshop, Firefox… resize ảnh bằng giải thuật tuyến tính nên có thể bỏ đi những thông tin quan trọng, và giữ lại những pixel không quan trọng. Một số kỹ sư phần mềm nói với tôi: suốt nhiều năm đi làm chưa bao giờ anh ta phải cài đặt một thuật toán nào đã học ở trường, việc lập trình hiện tại chỉ là lắp ghép các module, library ở high – level, rất ít khi đụng đến bản chất thật low – level bên dưới. Tôi cũng đồng ý như thế, một số dự án đơn giản là làm việc ở high – level, không phải sản phẩm nào cũng đòi hỏi kỹ năng sáng tạo, đòi hỏi kỹ sư có hiểu biết sâu về các thuật toán chuyên biệt. Nhưng nói như vậy không có nghĩa là những kỹ năng đó không cần thiết và không quan trọng. Nếu không có những kỹ năng đó thì mãi mãi chúng ta chỉ làm được những công việc “làng nhàng”, thậm chí những công việc “làng nhàng” cũng đòi hỏi những khả năng know – how, tổ chức code nhất định. Trong nghề lập trình tôi vẫn ưa thích kiểu người hay “đi phát minh lại cái bánh xe”. Thế nên mới biết là những điều nói ra càng đơn giản thì lại càng không đơn giản! Nhiều engineer trẻ tôi gặp sau này thường không có sự quan tâm tới những yếu tố đơn giản và cơ bản như thế. Dĩ nhiên những điều trên đây chẳng có gì to tát, cũng như đa số các vấn đề lập trình cũng không phải là điều gì lớn lao. Nhưng trước hết hãy cho tôi thấy bạn có hiểu biết cơ bản về vấn đề mình đang làm, đừng gọi hai vòng lặp for lồng nhau là: “thuật toán”, hãy có khả năng đọc hiểu mô tả của thuật toán và biến nó thành code chạy tốt… trước khi phán đó là những điều cơ bản không cần để ý tới. Tất cả bắt đầu với suy nghĩ của chính mình, với cái mô hình và trình tự trong đầu mình, chứ không phải bắt đầu với danh sách các khái niệm, chữ nghĩa, API… mà anh thậm chí không hiểu nội dung đằng sau nó! Sau đó thì mới có thể nói đến ý tưởng, điểm mạnh điểm yếu, chỗ dùng được (không dùng được) và sự khác biệt của các công nghệ!